Combination syndrome (or what also can be called anterior hyper function syndrome) is referred to these cases with an edentulous maxilla opposed by a partially dentate mandible. This syndrome presents a considerable challenge to the prosthodontist due to progressive destructive changes that are associated with it. These associated signs and symptoms render the prosthetic management more difficult, and even though it is more reliable to use dental implants to support and retain the prostheses, some cases still need the conventional prosthetic treatments for medical or economic reasons. 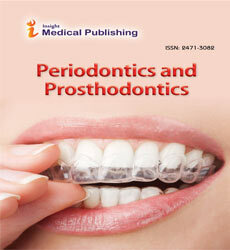 This clinical report presents the prosthodontic management of a combination syndrome patient.